In five presentations, Fr. Michael Renninger, Pastor of St. Mary's, explores the concept of God's mercy as it is revealed in the Old Testament, the New Testament, the Church's Tradition and Sacraments. Fr. Mike works to connect the idea of a holy year with people's daily experience. This program is designed to give individuals a deeper sense of God's mercy in their own lives, along with the invitation to become more merciful to one another. 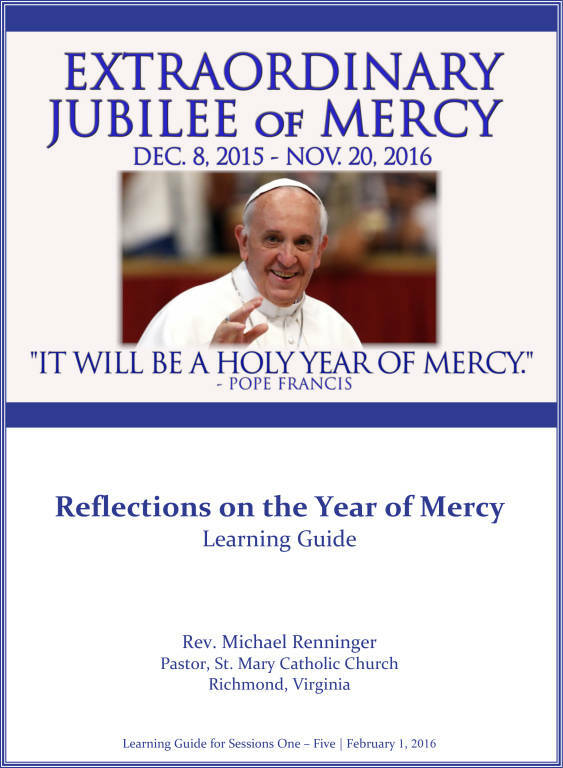 A simple learning guide is available to download which contains highlights of some of Fr. Mike's points, along with full quotes of the scripture passages that he mentions. The learning guide also includes suggested reflection/discussion questions. Click here to open and download this pdf document.